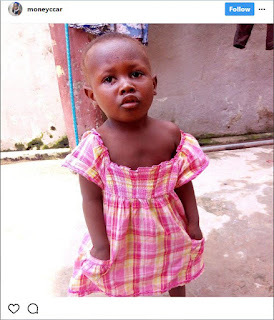 Her name is Oyibo Fidelia and she is 3-years old. She is said to have gotten missing at Sholuyi, Gbagada, Lagos. 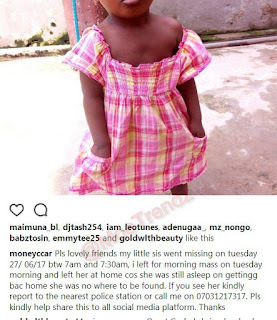 P;ease contact the nearest police station if you find her of have useful info.